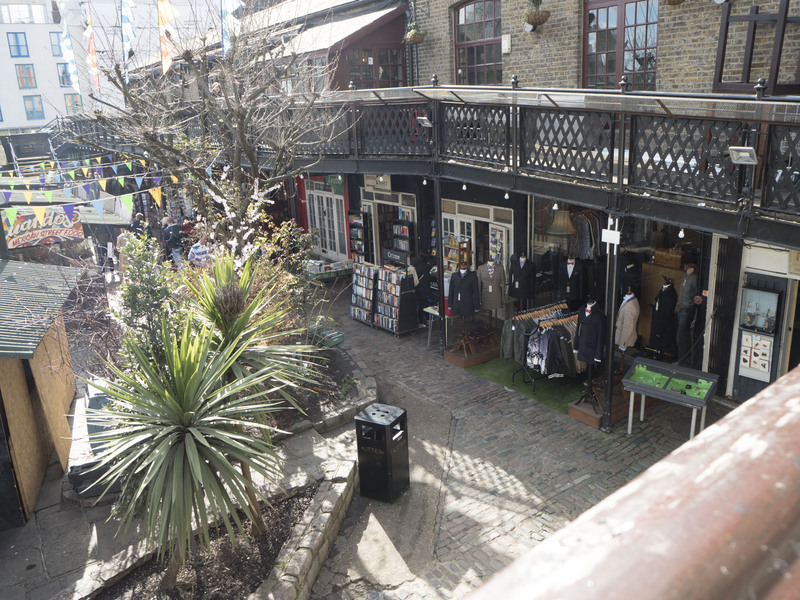 Camden Market & Strolling the Canals. 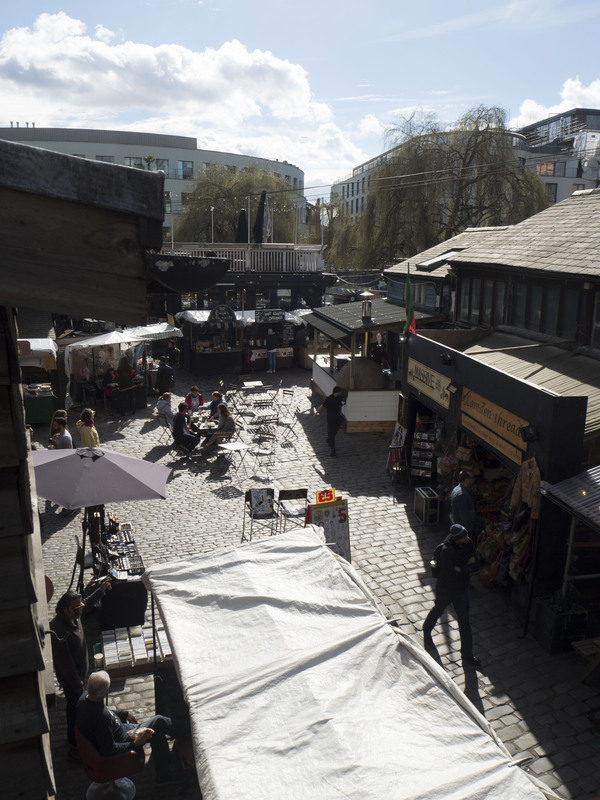 Camden Town in North London is one of my favorite places to visit. I love the vibrancy and the color of the area. There is so much to see and do, different flavors to sample and above all else get fantastic deals! Every time I’ve visited I’ve wanted to purchase shoes. There are some great local designers who have created some incredible footwear, with inspirations ranging from punk to Alice in Wonderland. 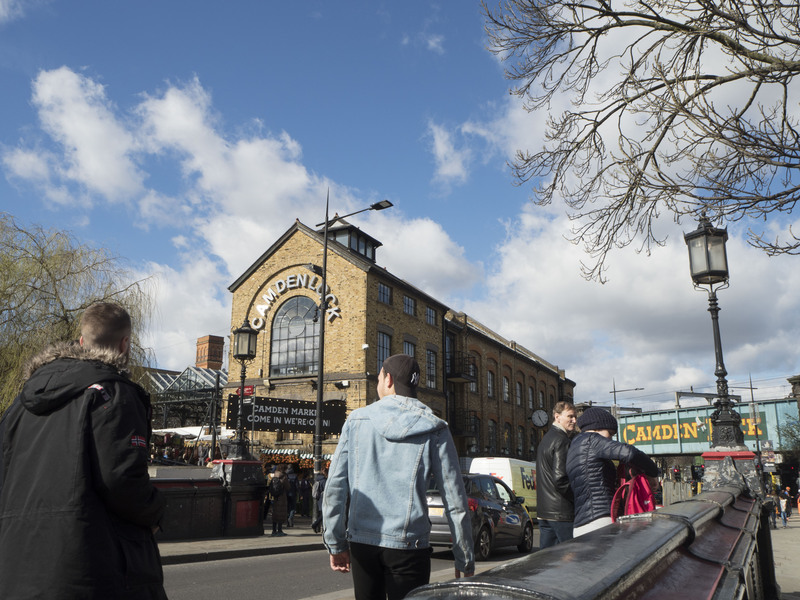 A trip to Camden Town can be a full day excursion. There are numerous stalls to visit and items to haggle for. It’s also a great place to people watch. 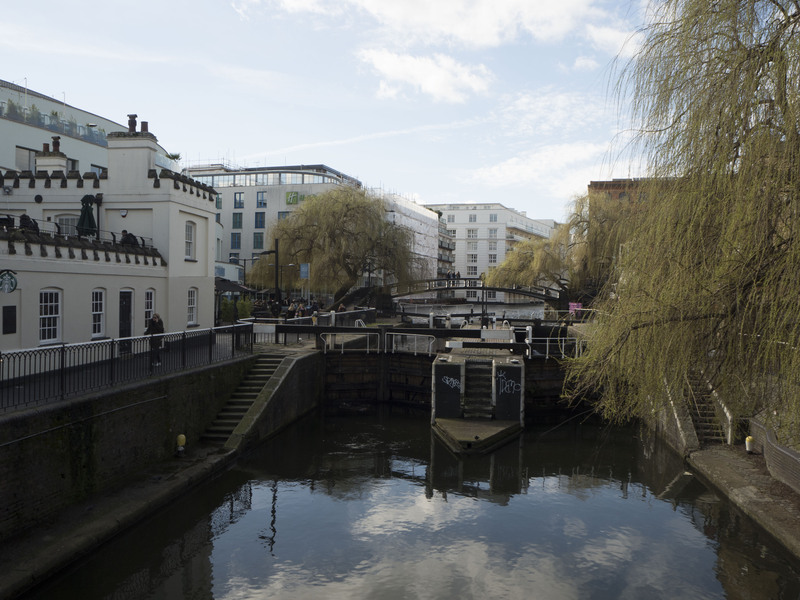 In the center of Camden Town is a lock. 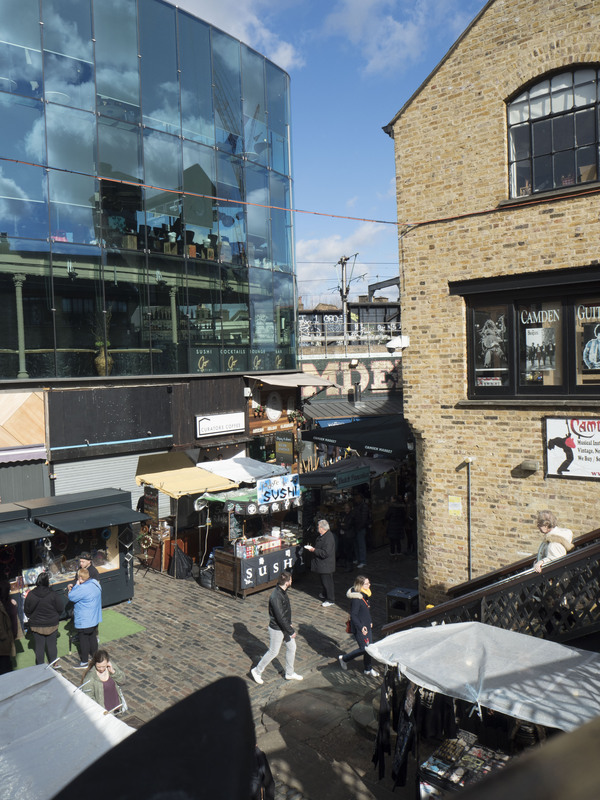 When I first visited Camden 15 years ago it was not as big as it is now. If you want to eat something, there were the traditional pubs and curry houses but not much else. 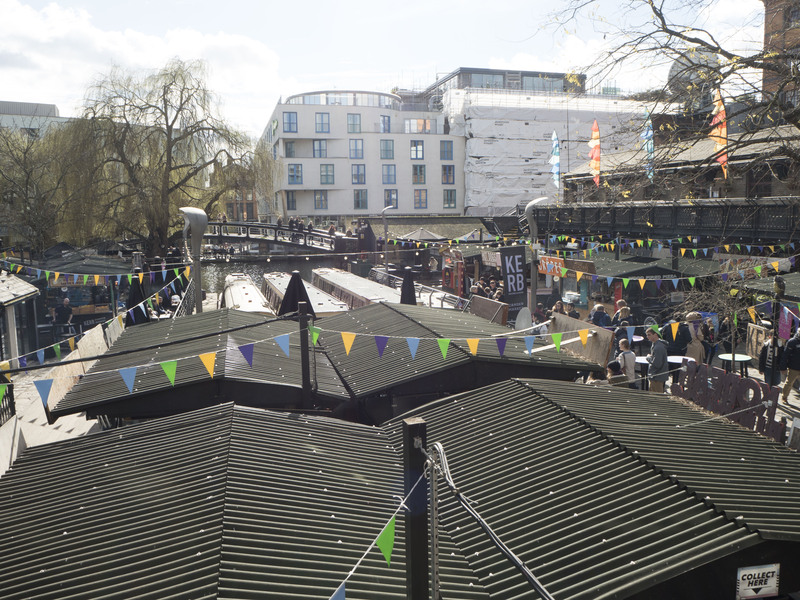 Now there is a blossoming food cart court right along the lock and plenty of different restaurants to visit if you aren’t in the mood for street food. I was happy to be able to show one of my friends this busy street fair that is open year round. We grabbed lunch and had a couple of drinks. Although it was March I was able to find a Pimm’s and lemonade. It was so refreshing, one of my favorite summer drinks. Afterwards, we decided to take a stroll down the canal. Originally we were just going to the next bridge, but we ended up continuing on. 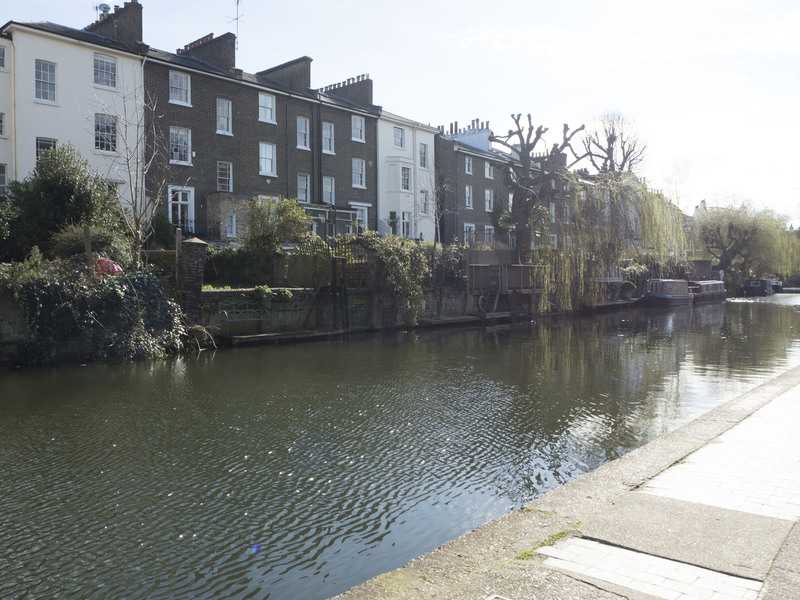 If you have the opportunity walk the canals from Camden town. 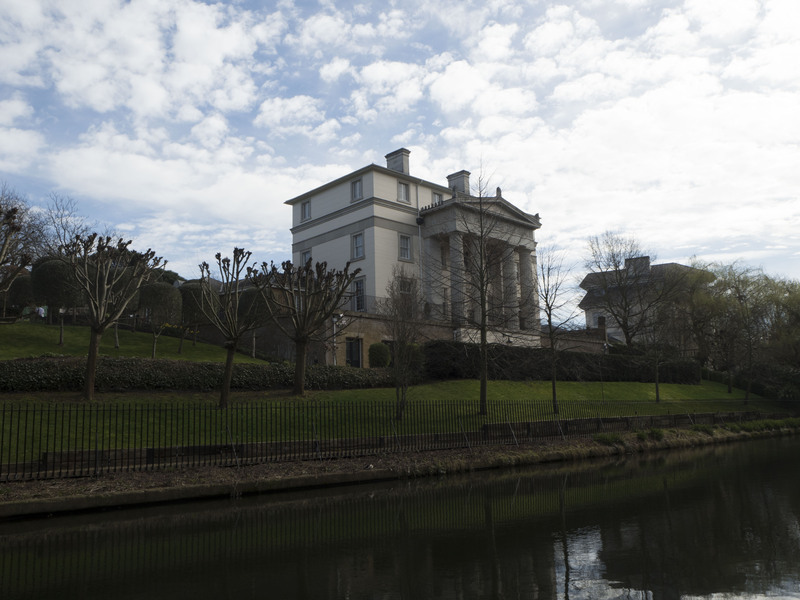 As you being your walk you are quickly in a beautiful area with mansions lining the canal. This is Regent’s Park. 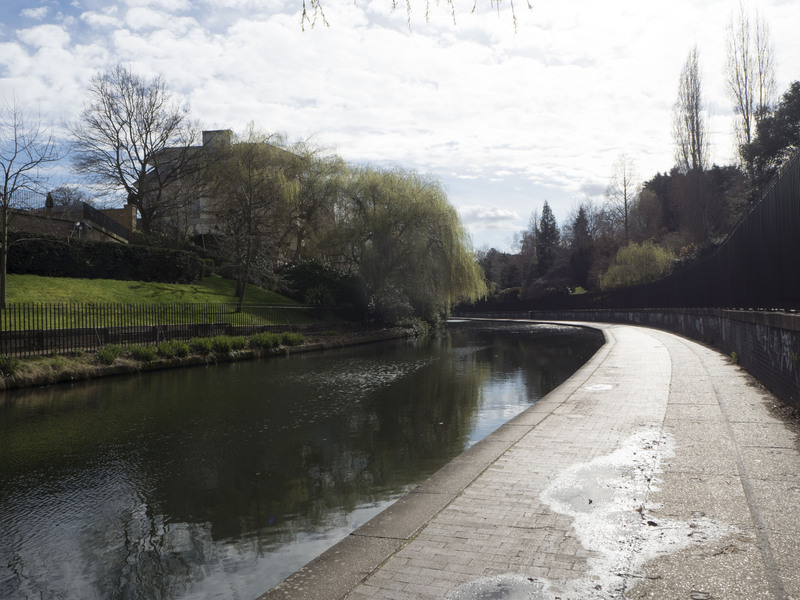 There are quite a few places I would live in London, near Regent’s Park is one of them. The mansions although you can tell are expensive, they are also stately and graceful. With flowers blooming everywhere in the private terraces. You forget you’re in a busy city. 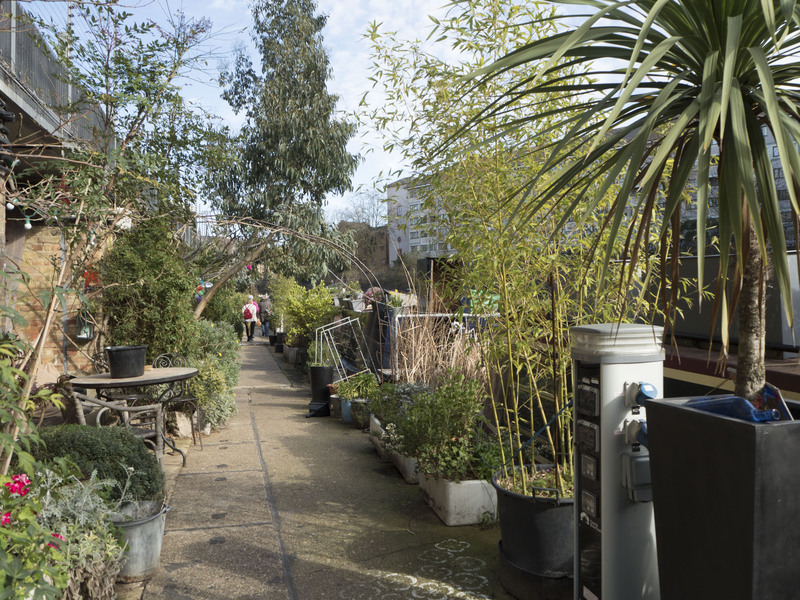 Strolling along you will pass by the London Zoo, the Aviary, and a houseboat parking lot. For what seemed like a mile, houseboats were lined up and moored one right next to each other in a community. Houseboats were connecting to the mainland by electrical outlets on the docks, which you had to step over and some boats took ownership of the canal path by setting up little gardens and terraces of their own. It was like a caravan of gypsies except they lived on the water. We eventually had to pop up onto street level due to construction. 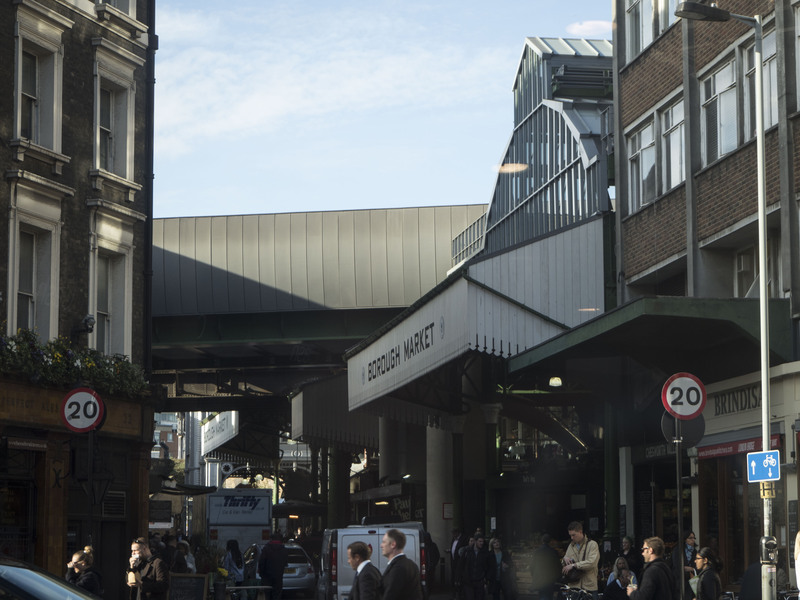 Where we popped up was 5 blocks from St. John’s Wood and the famous zebra crossing of Abbey Road. If you’re a Beatles fan it’s a must stop in London. Tracy and I watched as tourist dodged and held up traffic in order to recreate the iconic Beatles album cover. 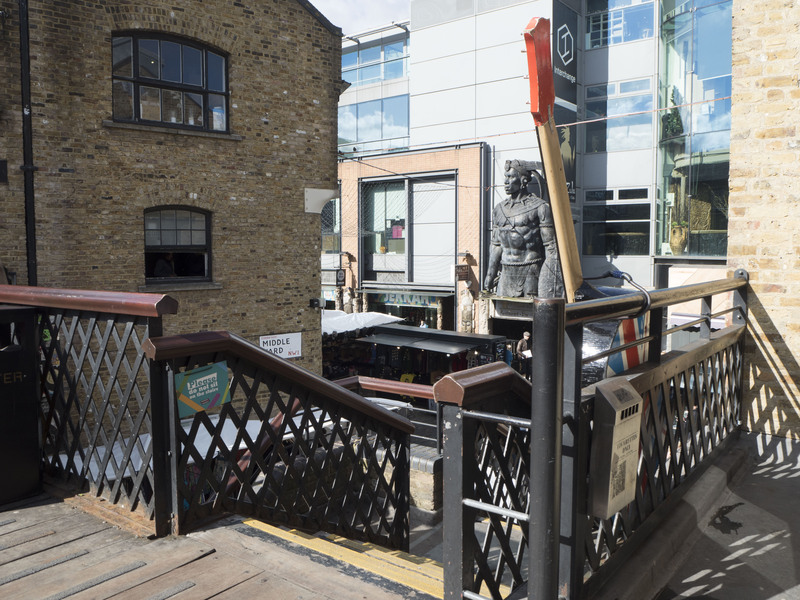 From there we decided to hop a bus back to Waterloo Station and then made our way over to Borough Market. Anyone who is a fan of food needs to visit Borough Market. Not only are there samples galore but there is an incredible variety of artisanal fare. We tried a slew of delectable cheeses and mulled wine. There were so many desserts I didn’t know what to try. Inside Borough Market, there is a very cool spice shop, where you can find just about any spice you’re looking for including fruit powders. This might not be a new thing but I liked the idea that your fruit could be in powder form and easy to take with you when you travel. I opted for the pineapple powder, and I have to say it’s pretty good. While you’re there make sure that you head to Kappacasein. One of the best-grilled cheeses I’ve ever had. They use a variety of cheeses including raclette and mix it with fresh onions of all varieties, then grill it in a Panini press. To say it’s indulgent is an understatement, but definitely, a must try. I think some of the best days, and my most favorite days, I’ve had traveling are when I have the opportunity to just wander a city, not have to be anywhere, or need to see something but be able to really appreciate and be where I am. Too often we try to cram too much into our travels, we want to see everything we can and don’t get me wrong, there are times when I’m like that too, but then I experience a day like this and I remember, for me, this is truly what traveling is about.